The Plazmatic X features a beautiful stainless, durable zinc alloy exterior, weighing in at a hefty 6 oz. 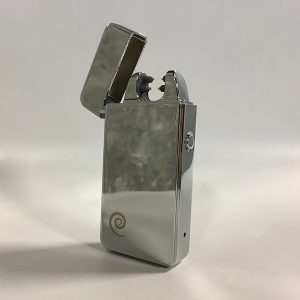 Whether you’re lighting tobacco products, hemp wick, or firing up charcoal in the grill, Plazmatic X lighter gets the job done every time. 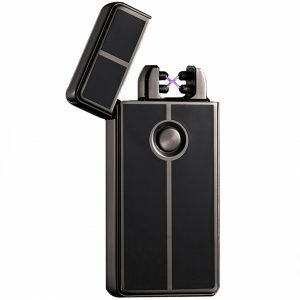 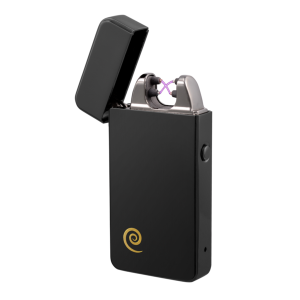 This lighter is specifically engineered with a wide lighting surface that can spark nearly anything including cigars, water pipes, hemp wick, candles (even wood ones), incense, and more. 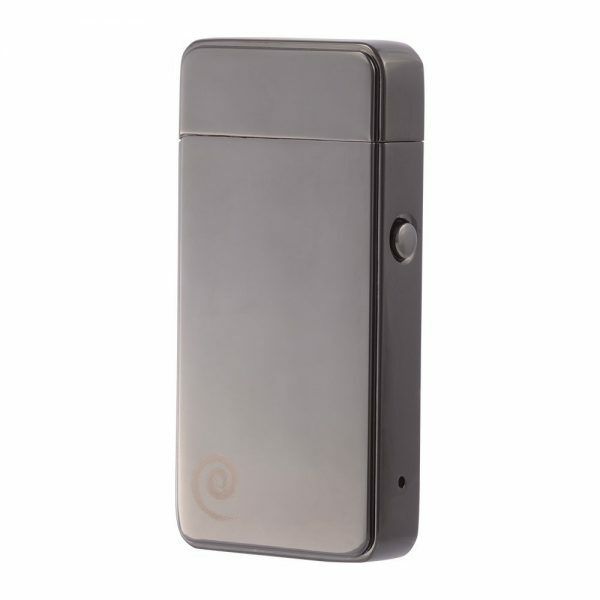 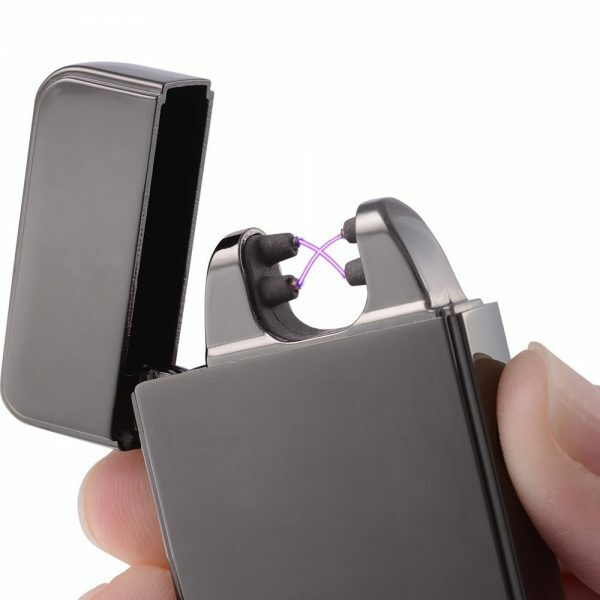 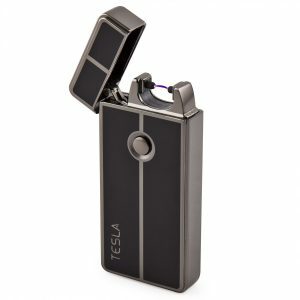 ELECTRIC USB LIGHTER: 100% electric and the most powerful USB rechargeable lighter on the planet. Plug our lighter into any USB port for an hour to charge and get 100+ lights per charge. 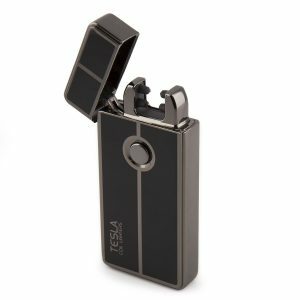 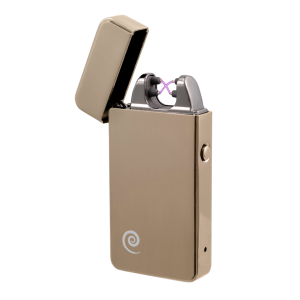 BUTANE & CHEMICAL FREE: A lighter that is butane and chemical free, it contains no fluids or gas at all and = fifty disposable lighters. 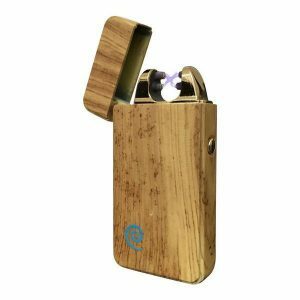 Be part of the movement to reduce the 1.9 billion disposable lighters that end up in the landfill and oceans every year. 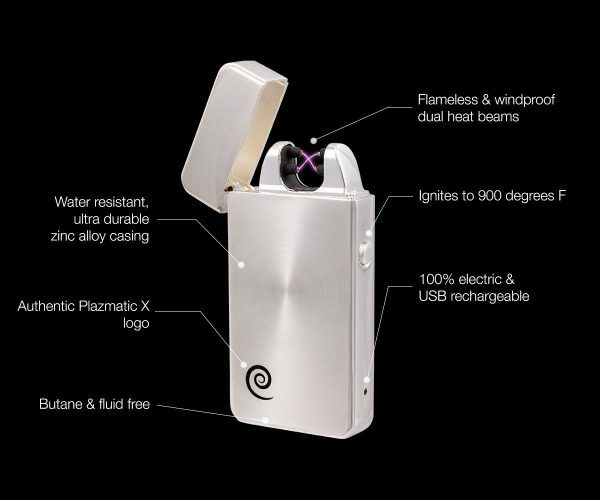 SAVE MONEY: Why spend hundreds on disposable lighters that harm the environment when you can own a Plazmatic X! 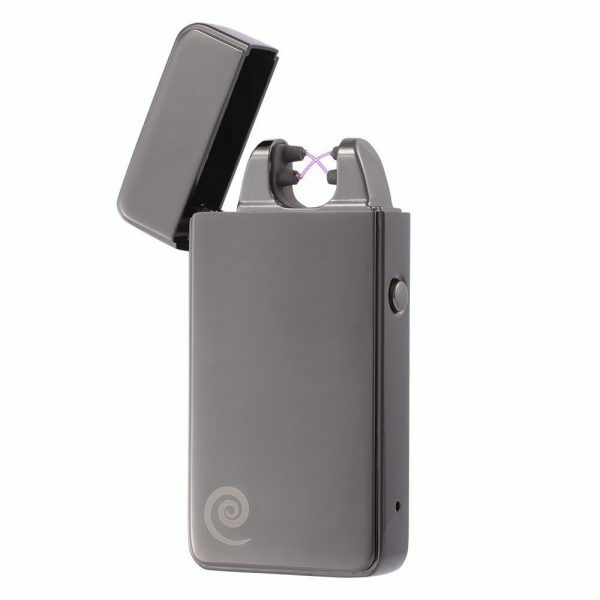 One of our electric lighers = fifty disposable lighters.